I first read a about Max Wallack back in December, 2009. He was 13 years old. He caught my attention when he was named a 2009 Build-A-Bear Huggable Hero. For his effort he won $2,500. He then donated the $2,500 to the Boston University School of Medicine’s Alzheimer's Disease Center. I wrote an article about Max and about 24 hours later I received an email from Max thanking me for writing about him. That is when our relationship began. 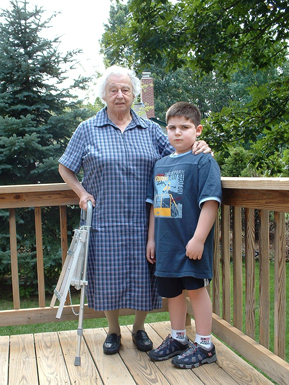 Max's great grandmother, Gertrude, lived with Alzheimer's and the Wallack family took care of her. I asked Max to write about his experience. He did so, and wonderfully well I might add. Along with a long list of articles which you can find by searching his name in our Knowledge Base Max wrote: My Inspiration, and Our Life Changed. Max recently turned 17. He is now a neuroscience major at Boston University where he plans to earn an MD, and possibly a PhD to go along with it. For those of you that have been wondering what Max is up to these days, I wanted to bring this article that was recently written in BU Magazine into your awareness - A 16-Year-Old Takes on a Disease of the Elderly. Really amazing what a person can accomplish when they put their mind to it.